Every child deserves a childhood. Don’t let it be taken away. We have a moral responsibility to stand up for children. Childhood sexual abuse is preventable through awareness and education. Over the past year I received countless messages from men & women (survivors and supporters) from all over the world. I made it a goal to respond to each of you. Thank-you for all the messages and keep up the difficult work of healing. You can do it! Recently, I received yet another note that touched my heart. Break the silence and start your healing journey today. You’ll soon realize how strong, courageous and spectacular you really are. Yoga consists of breath (pranayama), postures (asanas) and meditation. Yoga has been a big part of my continued healing journey. My determination to reconnect my mind and body. 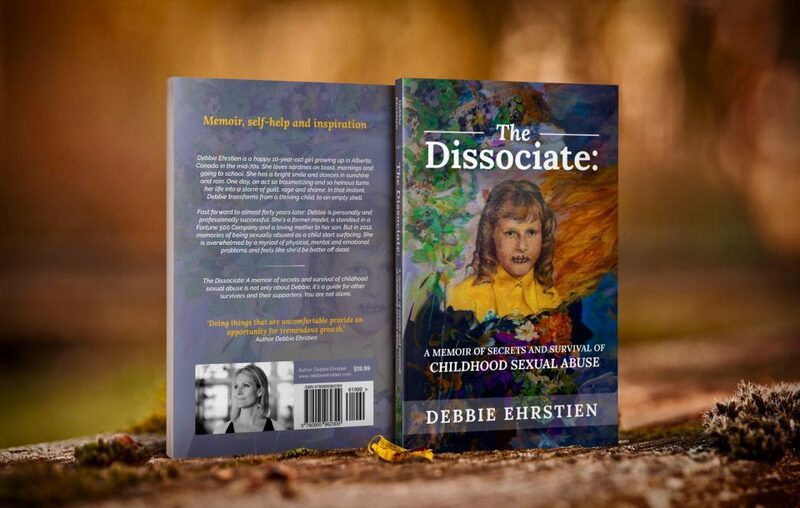 In chapter seven of my book, The Dissociate: A Memoir of Secrets and Survival of Childhood Sexual Abuse I talk about how self-care has helped bring me back into my body. Yoga Class today was a reminder of my continued work in healing my mind, body and spirit. I was asked to reach behind and grab my right foot with my right hand. Sounds simple right? I was unable to do this posture. Not because of flexibility but because I didn’t know where my foot was. I began to feel panic. Stress began to surge through my body. I looked behind to ensure I still had a right foot. I know that sounds odd but I had to reassure my mind I was still whole. I then began judging myself. Why is this happening again? Why am I disconnecting my mind and body? It only lasted a few minutes thanks to some deep cleansing breaths. I began to quiet my mind and quickly I realized that I’m very much a work in progress and that’s okay. Post traumatic stress disorder (PTSD) is a mental health condition that is the result of great suffering. PTSD can disrupt your whole life ― your job, your relationships, your health and your everyday enjoyment. Do the hard work and don’t give up.